I know I keep saying how crazy simple all my “recipes” are, but that’s because they are….. Your involvement time in this perfume recipe is around 3 minutes, and you only need 2 ingredients (well unless you consider the bottle you put it in as an ingredient, in that case, it requires 3 ingredients). But before jumping into the recipe, I want to let you know that when I started down the path of trying to go all things natural, there were two things in particular that took some convincing to get to. The first was ending my long-term obsession with bleaching my hair, and the other was ending my life-long love of perfumes. I couldn’t even deal with the idea of doing both at the same time, so I took a staged approach, first tackling the bleach, and then moving to the perfumes. (Luckily I have decided that I really like my natural dark blonde/soon-to-be-grey hair, so much in fact that I have decided to try to follow through with the natural hair theme and let it do it’s grey thing. I am currently very much at ease with the 5 or so grey hairs that I have, but I reserve the right to completely backflip on this one, depending on how I feel once there are 100 of them 🙂 ). I managed to continue my use of perfumes for some time, mainly because I chose to stay away from any information that would make me want to stop using them (kind of like purposely not reading the calorie content on the back of that whole block of chocolate you just ate). The thing that finally pushed me to stop was other people. It seemed that, increasingly, my perfumes were having an adverse effect on people around me. One time in particular I was in a car with a women who had to get out and eat something because the smell made her feel so ill. I felt pretty awful. (Interestingly, since I have stopped using perfumes I have developed quite a sensitivity to other people’s perfumes. I often feel nauseous and/or get a headache from other people’s strong perfumes. Serves me right I guess 🙂 ). So I decided I should do some reading about perfumes and, among the information I read, there was quite a lot about perfumes/fragrances being triggers for people with allergies, and in particular asthma and eczema. My youngest son has asthma and my eldest son has eczema. The ingredients used in perfume/fragrances are shifty. You may recall in my recent post about organic foods , I made reference to castoreum, an ingredient which is sometimes used in food but most often used in fragrances. That is the kind of ingredient they put into perfume. I did a bit more reading about castoreum, and the North American Fur Auctions website describes that the beaver castors are used in the perfume industry, and that they are in high demand. 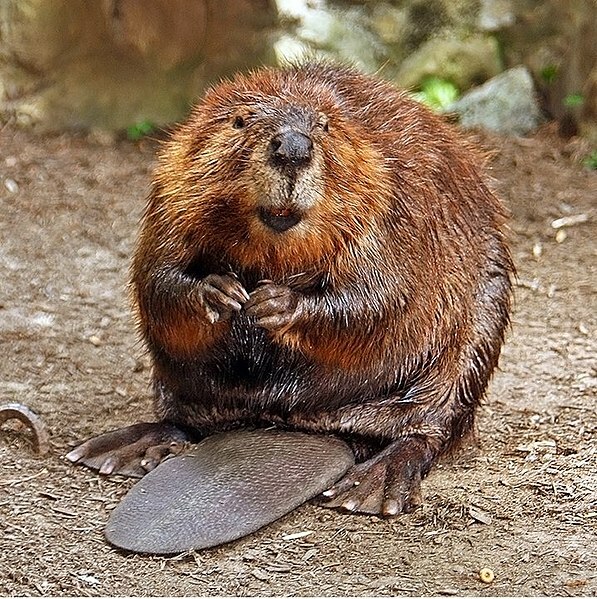 Another thing I learned, is that, in order for the castoreum to be extracted from the beaver, the beaver has to die. Poor beavers. I also found it interesting how the perfume industry “sells” this stuff, a website called “Fragrantica” which is a “fragrance encyclopedia” has a page totally dedicated to castoreum, and here is what they have to say about a product that is extracted from a sac which is located in the pelvis of a beaver “…The scent of castoreum is wild and bodily, lustful and passionate, bestowing the one who wears it a delicate aura of sensuality. This typical warm, carnal, and leather-like scent…” Hmmmmm…. Castoreum is only one of many questionable ingredients that is put into perfume, but it is unlikely you will ever know which, or how many of the questionable ingredients there are in the perfume you are wearing. This is because the laws that control what goes into cosmetics does not apply to “fragrances”. Companies can put any number of unlabeled chemicals into a product, if they are used to make the “fragrance” part. The Environmental Working Group (EWG), who are an American non-profit environmental research group, did a study back in 2010 where they tested a bunch of popular perfumes, cologne and body sprays. Within the 17 brands they tested, they found 38 unlabeled chemicals. The winners/losers (depending on how you look at it) were American Eagle “Seventy Seven” with 24 chemicals found, Chanel “Coco” with 18, and Britney Spears “Curious “and Giorgio Armani “Acqua Di Gio” with 17. But on average, they found that perfumes contained 14 unlabeled chemicals. Particularly scary too, is that the EWG estimates that only 34% of these unlabeled chemicals have had safety assessments published. And in August this year, EWG published another article confirming that one of these unlabeled ingredients, “styrene”, has been confirmed to have the potential to cause cancer. But you won’t know if it is your fragrance, because, as perviously mentioned, it won’t be on the label 😦 This applies to any product you from the shop with “fragrance” in it, so not just perfume, but cleaning products, room deodorizers, other cosmetics etc. Luckily for novices like me, you can buy essential oil blends, and these are what I have used to make my perfume. I first started out making a solid perfume from coconut oil and essential oils, and it was OK. But the coconut oil melts as soon as it gets hot, (although you could counteract this by adding some beeswax), and it will obviously have to have the coconut scent which I didn’t want every time. And aside from these things, I actually really love a perfume spray. Fill your spray bottle, whatever size it is, almost to the top with witch hazel and then add drops of your essential oils/essential oil blends until it smells nice and perfumy. (My bottles must be about 50 mls and I put in around 20 – 30 drops of essential oil). Shake up the bottle and then leave it for a couple of days. When you first put the oils in, you will see them separate from the witch hazel into little beads, but after the 2 – 3 days, it will all be combined. So far I have made two, in one I used a blend called “spirit of woman” which is all floral-ly, and the other is a blend called “Buddhist Temple” which is all vanilla-ry. Both very nice. You need to be aware that the smell won’t hang around the same way perfume does, so I give a good spray to my clothes my hair, and then I take the little bottle with me for a respray during the day. I haven’t had any luck finding second hand spray bottles, not in any size. So I found some cute little 50ml bottles in the $2 shop, I think I got 3 for $2 or something like that, super cheap.